Taylor–Couette Flow and a Molecule Dependent Transport Equation. Physica A: Statistical Mechanics and its Applications, 415: 205–209, 1 December 2014. The research provides a way to describe the way fluid behaves when it is located between rotating, concentric pipes. 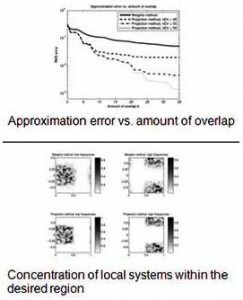 The description is in closed, analytic mathematical form which the first time it is obtained. Closed mathematical forms are always of value since they are exact. The research contributes to the theory that seeks to incorporate molecular structure into the classic Navier Stokes Equation. Simulating Climate-induced Impacts on Philippine Agriculture Using Computable General Equilibrium Analysis. Journal of the International Society for Southeast Asian Agricultural Sciences, 20 (1): 16-28, June 2014. The Philippines is highly vulnerable to the adverse impacts of climate change because of its high exposure to climate hazards such as typhoons. The two main contributing factors affecting agricultural production in the country are increasing temperature and rainfall variability. Two possible scenarios resulting from climate-induced impacts were implemented in the CGE simulations. First scenario is possible reduction in production for the selected commodities: rice (-18%), corn (-16%), sugarcane (-32%), banana (-6%), and other crops (-15%). Second scenario is a fishery policy-response scenario that would target an increasing production in the fishery sector (ocean fishing, freshwater/coastal fishing, and aquaculture) given scenario 1. The CGE model employed estimated the changes on real gross domestic product at factor cost, consumer price index, export and import quantity, employment, and average return to land (rent). Likewise, changes in the sectoral activity-level for the 25 sectors of the Philippine economy were estimated. On the macro level, simulation results show that agricultural production scenario is likely to have an impact on aggregate output, with a possible reduction in real gross domestic product of about 1.83% from the base. A decline in agricultural production is expected to have a slight increase in the general price level of about 0.15%. In terms of sectoral impacts, the top five most affected Philippine agricultural sub-sectors due to reduction in agricultural productions are banana, corn, sugarcane, rice, and fiber products. Overall, climate-induced impacts will result in a net loss to the Philippine economy and its key agricultural sectors. Consumer’s Behavior Towards Cultured Oyster and Mussel in Western Visayas, Philippines. AACL Bioflux, 7 (2): 116-136, April 2014.
Who would buy cultured oysters and mussels? When faced with a choice which seafood to eat, are oysters and mussels among your top ten choices? We studied how consumers behave towards buying and eating of cultured oysters and mussels. Thus, we asked 163 seafood consumers from Western Visayas Philippines. We found that consumption was influenced by gender, household size, and consumers who have seen culture environment. Males who have been to the culture sites were more likely to be frequent buyers and consumers. And a family with large household size was more likely to buy oysters. Females rather than males would opt to try new products from oysters. However, more educated consumers would refrain from eating large quantities of oysters or mussels because of health and safety issues. The decision to eat oysters or mussels would also depend on freshness and size rather than price. Where the product originated is less important for consumers in Western Visayas, although there was an increasing awareness and concern about seafood safety issues. The issues related to culture site environment, product quality and food safety have to be addressed to strengthen consumer confidence. Adaptive Gabor Frames by Projection Onto Time-frequency Subspaces. IEEE International Conference on Acoustics, Speech and Signal Processing, 6854170: 3097-3101, 2014. We intro duce an innovative method for obtaining time-frequency (TF) frames with desired local properties. Using these new TF frames showed promising results e.g. in audio processing, exhibiting reduced reconstruction error and less time-frequency spilling outside the region of interest. 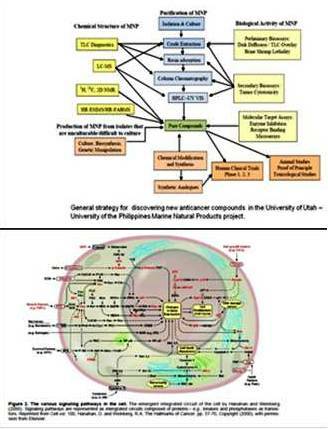 Anticancer Compounds from Philippine Marine Organisms Act on Major Pathways in Cancer. Philippine Science Letters, 7 (1): 207-227, May 2014. The Philippine archipelago is home to a variety of habitats. Philippine marine biodiversity, in particular, ranks among the richest in the world and is still largely unexplored. Such biodiversity can have profound applications in the search for compounds with anticancer properties. Our increased understanding of the molecular mechanisms in cancer has enabled us to demonstrate exactly how these compounds work. In the past two decades, compounds from Philippine marine organisms like sponges, ascidians, and associated microorganisms were reported. These compounds have diverse chemical structures and are active to a variety of cancer cell lines. Furthermore, they act on specific molecular targets in major cell signaling pathways implicated in cancer. 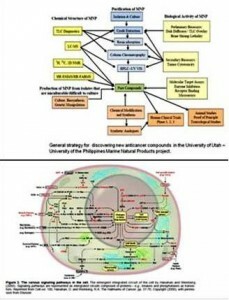 In order to develop these marine natural products for the pharmaceutical drug pipeline, future directions will need to focus on optimizing the culture of marine organisms and symbionts, utilize biosynthetic genes in microbial hosts, and develop the concept of treating cancer with combinatorial therapy. Performing Global at IntelStar: Figuring the Call Center on Manila Stage. Kritika Kultura, 23: -032, 28 pages, January-June 2014. The essay is an expansion of a textual reading of Welcome to IntelStar by problematizing the popular discourse on globalization and highlighting important nuances embodied in the performance of the drama. In a popular close reading of the drama, globalization and neo-liberal engagement are conflated into one and the same. In expanding the reading, I note how the performance calls on a national sentiment to the extent that it illustrates resistance to globalization’s economic and neoliberal attachments, often perceived as the destructive force of cultural diversity and uniqueness. I also illustrate how the performance used a recurring trope in Philippine culture, which I call the Americanization issue. This issue is related to the conception of the Filipino/a as a master mimic of other cultures, particularly the American one. Overall, I propose cosmopolitanism as an alternative framework to read the play in a more nuanced position. Cosmopolitanism is a more nuanced framework, than or an essential complement to postcolonial critique in establishing the significance of this play, and that it is in the performance of mimicry that the nature and potential of a cosmopolitanist reading may be glimpsed. Coexisting First and Bilateral Second Branchial Fistulas in a Child with Nonfamilial Branchio-otic Syndrome. ENT-Ear, Nose & Throat Journal, 92 (7): 304-309, July 2013. A little girl who was born with small “holes” in both sides of her neck and a “hole” in front of one ear. The holes in her neck both drained clear saliva. She also had moderately – severe hearing loss in both ears. No one in her family had a similar condition. Such “holes” should be investigated, as they may represent anomalies in embryologic development, resulting in persistent tunnels (fistulae) between what develop into the “inner” (mucous membrane) and “outer” (skin) of the throat and neck, respectively. 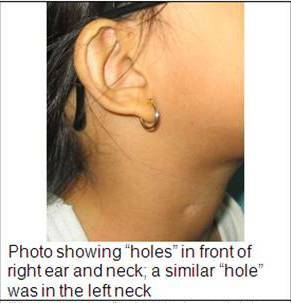 Such tunnels (fistulae) are rare; even rarer are their occurrence on both sides of the neck (bilateral second branchial fistulas) and in front of the ear (first branchial fistula), with only 10 cases previously reported in the English-language literature. These cases were associated with various syndromes, but only two had nonfamilial branchio-otic syndrome. We believe ours to be the third such case. Universal newborn screening and further investigation of anomalies may uncover underlying syndromes, and lead to appropriate treatment. The Impact of Performance Incentives on Child Health Outcomes: Results from a Cluster Randomized Controlled Trial in the Philippines. Health Policy and Planning, 29 (5): 615-621, August 2014. In this study, we show that bonus payments to hospital staff on the basis of quality standards led to improvements in child health outcomes. In 2004, the Quality Improvement Demonstration Study introduced a bonus payment system for staff in 10 district hospitals in the Visayas, which entitled the hospital staff to additional PhilHealth payments provided that the hospital’s quality level met pre-determined standards. Quality assessment was based on clinical practice vignettes (paper cases of patients), patient satisfaction, and case load. This bonus system was rigorously evaluated in a randomized controlled trial, and compared with 10 other hospitals that were given a different policy treatment and another 10 hospitals that were not given any policy treatment (control). After 36 months, we found that children who were admitted in the hospitals with bonus payments experienced a 7 percentage point increase in a general self-reported health measure and a 9 percentage point reduction in the probability of wasting after discharge.